The newest member of the Lone Star Conference in the Spring of 2019! 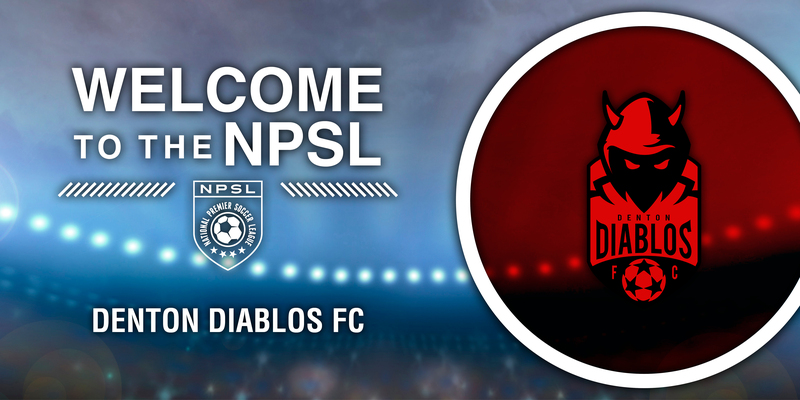 DENTON, TX – The Diablos are preparing to burn through Texas soccer fields when the elite minor league soccer club in Denton begins competition next summer. The Denton Diablos FC will play home matches at UNT’s Soccer Stadium. The Diablos official launch party is schedule for 6 p.m. Thursday September 13 at LSA Burger Company (113 W. Hickory Street, Denton, Texas 76201). NPSL chairman Joe Barone has seen the Lone Star Conference grow to one of the largest in the league in the past two seasons with teams across Texas and Louisiana. 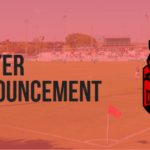 More information about the club can be found at www.dentondiablos.com or by following the club on Facebook(@DentonDiablosFC), Instagram (@dentondiablosfc), and Twitter (@dentondiablos). 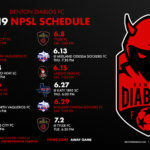 Season Seats and official Diablos gear now on sale at www.dentondiablos.com. ABOUT DAMON GOCHNEAUR – A 2003 graduate of the University of North Texas, Gochneaur has spent nearly his entire life working and living in Denton County, with a rich and deep history of playing, coaching, and supporting the sport of soccer the entire time. Gochneaur grew up playing the game in Lewisville, TX before graduating to the Dallas Classic League and playing for the Dallas Texans and the Dallas Comets. He captained both his high school soccer team at Flower Mound Marcus as well as the Dallas Comets, while achieving significant team and personal success, both on and off the pitch. Gochneaur played two years of collegiate soccer at Missouri Valley College until injury changed his soccer fortunes and brought him back to Denton to finish his studies at UNT. He is excited to bring the NPSL to Denton, Texas and help grow the game that he loves and give back to the game which has given him so much already. ABOUT MICHAEL HITCHCOCK – Hitchcock started his journey in soccer management 22 years ago with D.C. United. He spent 13 years in Major League Soccer (MLS), including stops in Los Angeles as Vice President for LA Galaxy and President/General Manager for FC Dallas and Pizza Hut Park. Hitchcock left MLS nine years ago and launched Playbook Management International (PMI), a sports management company that works with hand-selected clients in the U.S. and around the world. He is passionate about the game of soccer, the business of soccer, and the impact that clubs can have in their local communities. Through PMI, Hitch has ownership interest in Alfreton Town FC (National League in the UK), Tobago FC Phoenix (Trinidad & Tobago), Napa Valley 1839 FC (NPSL), Fort Worth Vaqueros FC(NPSL), and Professional Futsal League (PFL).